Comments: It was built in 1937 by the WPA. The stadium is natural rock and is the second largest high school stadium in the state with balanced stands seating 2,500 on both the home and away sides and hedges growing along the front of the stands. Concessions/restrooms/locker rooms are all located on the visitors side. Best natural grass field in the state. 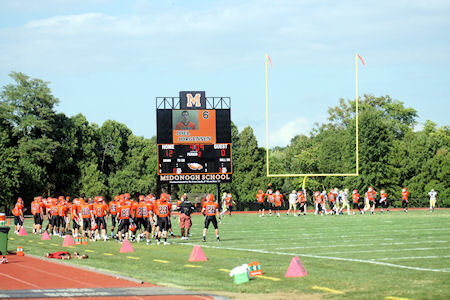 The annual McDonogh School-Gilman School rivalry game (in its 95th year in 2010) has seen overflow crowds of over 10,000 pack the stadium and all available standing room.